The 43000 Series size 17 linear actuator is Haydon Kerk's best selling framesize. Watch to learn more about this popular product! The Size 17 double stack by Haydon Kerk Motion Solutions is a 43mm stepper motor linear actuator. Size 17, 43000 double stack series linear actuators are available in three designs - captive, non-captive and external linear versions. Available in a variety of resolutions, ranging from 0.001524mm to 0.048768mm per step. 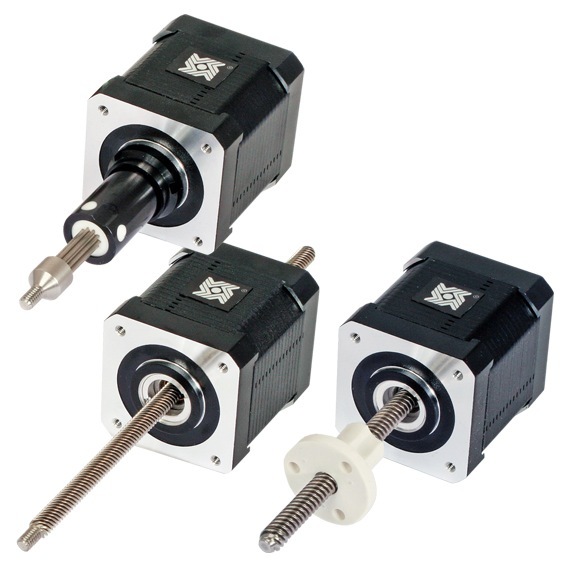 The size 17 double stack series stepper motor linear actuator delivers force of up to 75 lbs (337N). Typical applications include medical equipment, semiconductor handling, valve control, X-Y tables, hand held instruments, or wherever precise linear motion is required. The 43000 Series Double Stack linear actuator is available in a wide variety of resolutions - from 0.000625-in (.0158 mm) per step to 0.005-in (.127 mm ) per step. Delivers output force of up to 75 lbs (337N). Microstepping Capability - Full, 1/2, 1/4, 1/8, 1/16, 1/32, 1/64 .